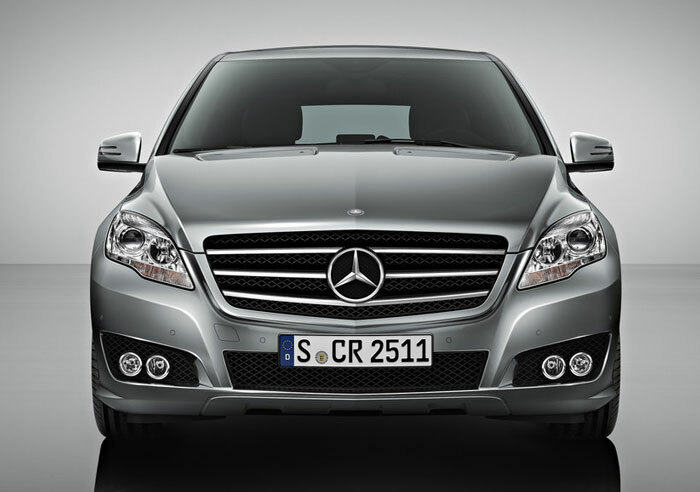 The R-Class is another car from Mercedes Benz which is manufactured in the US. It is probably because that is the biggest market for this kind of lifestyle vehicle. It used to be a six seater car but is now offered as a seven seater car in long wheel base form. 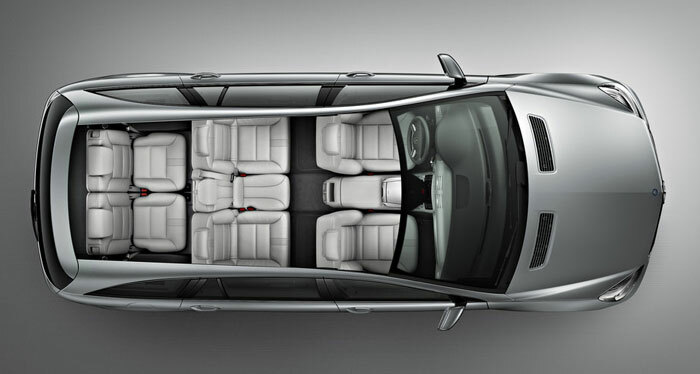 It is some type of cross between an MPV and a luxury saloon. This is a huge car. Even the short wheel base five seat version is over three metres in length. Oddly that size doesn’t translate into practical space inside the cabin. When the car had six seats the middle row had a nice arm rest between the passengers. To turn it into a seven seater Mercedes have replaced that with a seat so you end up with two full size seats and half a seat on the middle row which seems a poor use of the space considering this car is wider than a Ford S-Max. And this also means that there is no chance of fitting three full size child seats on the middle row. With this car being longer than a Renault Espace you would expect that you would have plenty of room for all seven passengers. Again the R Class lets you down in that the seats in the boot don’t have enough leg room for adults to sit comfortably on long journeys. The new model now comes in two versions the 300 CDI BlueEfficiency and the 350CDI L. Both come with a seven speed automatic gearbox. The 300 CDI tries to blend fuel efficiency with the power needed to transport this large seven seater. It has a top speed of 134 miles per hour and does 0-60 mph in 9.5 seconds. It has fuel consumption of 37.2 miles per gallon. If you are looking for something brisker than this then you would look to the 350 CDI L which costs four thousand pounds more and has a top speed of 146 miles per hour and does 0-60 mph in 7.7 seconds. Fuel consumption is only a little less at 33.2 mpg. This is a well engineered cabin with quality materials and everything is adjustable for any driver to get comfortable in this car. The steering wheel features paddles which allow the driver to change gears without taking your hands off the wheel. Similarly you can take calls and adjust the radio all whilst concentrating on driving. The front seats are heated and electronically adjustable. The R Class comes with Artico leather as standard which is Mercedes artificial leather substitute though the Luxury Seat Package offers buyers a choice of real leather and includes the Memory Package which remembers individual settings for the seat, mirrors and steering column. The whole experience of travelling in the R Class is one of being in a luxury limousine….as long as you don’t need to seat seven passengers. That is where this car is let down as the third row seats are not comfortable for adults on long journeys and despite the size of this car the middle seat on the the second row is not full size. There are no Euro NCAP tests to give us a safety rating for the R Class but the range of safety features on this car indicates that it would perform well. There are six airbags including two full length curtain airbags. There is also a whole host of active safety systems, standard and optional which alert the driver of any potential crash situations to try and prevent collisions. The R Class has superb build quality and reliability is good. This car is expensive to buy and you should get used to expensive motoring. Road tax will set you back £600 in the first year and £270 every year after. Insurance is group 44 and Mercedes servicing is never cheap. The older model had some very poor fuel economy which Mercedes has clearly tried to address introducing the R 300CDI Blue Efficiency with a 3.0 litre diesel engine that averages 37 mpg combined. This is an improvement but it’s certainly not going to be a cheap trip to the petrol station. It is hard to place the Mercedes R Class. 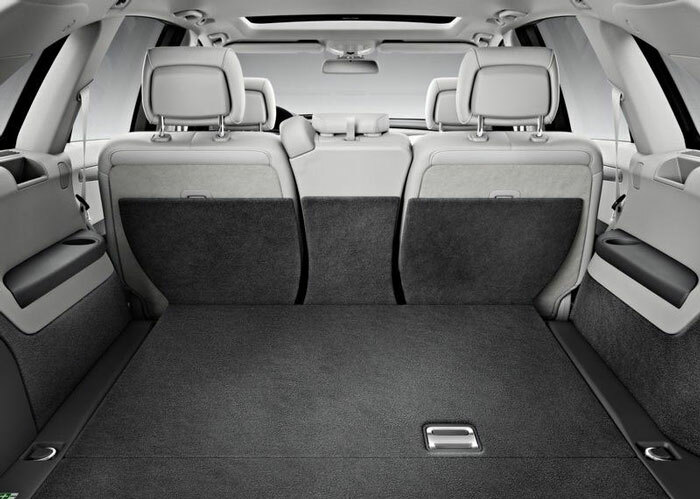 It is almost a seven seater MPV but doesn’t quite achieve the space and flexibility that buyers would expect from a car of this size and cost.